LCD Concepts, formerly known as P Sea Concepts, has been designing and manufacturing custom LCD display solutions since 1998. Dedication to exceptional customer service, skillful use of leading edge technology and a commitment to delivering superior products on time have created a reputation of excellence for LCD Concepts. LCD Concepts is a family owned and operated business. Nancy Olson manages operations, marketing and the sales team for the company. Brian Olson specializes in product design and development. From 1981 to 2007 the company evolved from custom designed electromechanical packaging of printed circuit boards and mechanical enclosures to sealed, high bright, rugged displays and Ethernet products. 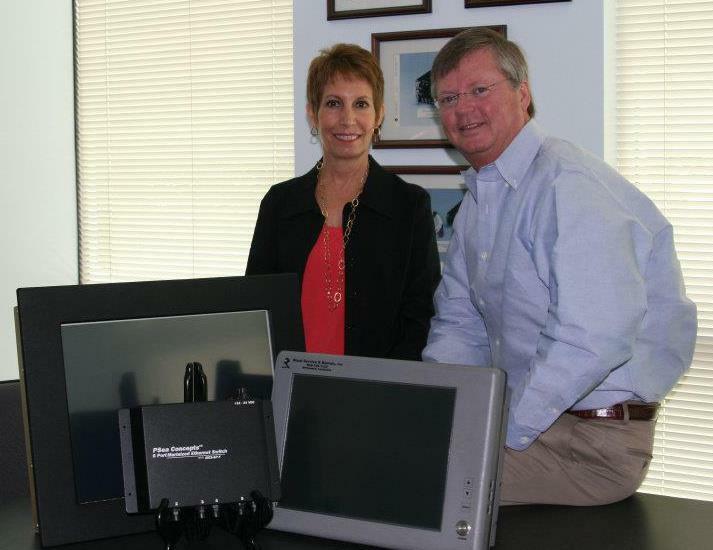 In 2007, Nancy and Brian saw the company was growing in a new direction. Products were being designed and sold to service the Off-shore Seismic, Oilfield Exploration and Production, Entertainment, Yachting, and Shipping industries. This continued expansion into various market segments led Nancy and Brian to the decision to re-tool and create a relevant, fresh image for the company. In 2011, Nancy restructured operations and developed a comprehensive and targeted marketing strategy. This included a complete re-branding of the organization. She implemented a new logo and website making sure all marketing and sales materials was consistent with the new brand. She developed a targeted sales strategy to become a quality supplier for industrial and commercial industries. Brian continued developing custom products and solutions to a more diverse market. Recognizing the growing need of custom solutions in the workplace, LCD Concepts has expanded their product offering. In addition to custom Panel PC’s and LCD displays, LCD Concepts now offers large format interactive, all-in-one multi-touch computer with whiteboard – ideal for the classroom, boardroom or conference room. LCD Concepts’ business philosophy is simple: we deliver the highest quality custom work because our people are the very best at what they do. We consistently deliver superior results because our staff is comprised of only the most qualified and experienced technicians, and every product that leaves our facility is assembled by their hands.